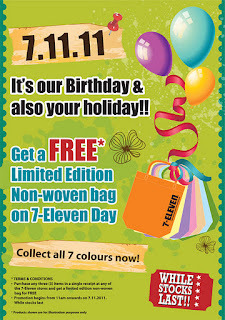 Get a FREE limited edition non-woven bag on 7-Eleven Day, 7th November 2011! 7th November 2011 is 7-Eleven Day! 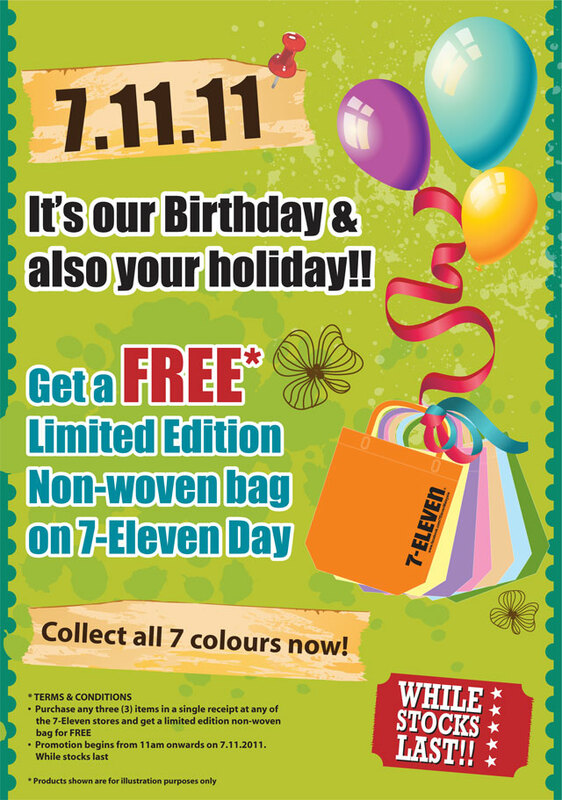 Get a FREE limited edition non-woven bag on 7-Eleven Day! Purchase any three (3) items in a single receipt at any of the 7-Eleven stores and get a limited edition non-woven bag for FREE. Promotion begins from 11am onwards on 7.11.2011.